Kano – The Kano University of Science and Technology (KUST), Wudil, has signed a Memorandum of Understanding (MoU) with two firms on agricultural development. The two firms are: NIIMA Investment and a Chinese Agricultural firm, Cosgrove Technology Company Ltd. Speaking after signing the MoU in Kano on Sunday, the Vice-Chancellor of the University, Prof. Shehu Alhaji Musa said the essence of signing the tripartite agreement was to develop the agricultural potentials being adequately harnessed and exploited by the university for greater result. He described agriculture as the mainstay of any promising developing economy all over the world. He said based on the agreement, the university would provide the land needed for the successful take off of the project while the Chinese firm was expected to provide the Technical support with NIIMA Investment actively involved. “The initiative was conceived to serve as a launch-pad for revenue generation drive for the university. He explained that areas expected to cover by the tripartite agreement include rice production, animal husbandry, sugar cane production and fisheries, among others. He said the marketing aspect of the agreement would be taken seriously in order to ensure that both parties had a fair share of the deal. He disclosed that 100 dollars had been projected to be sunk into the high profile project in view of the pressing need for sustainable agricultural development. “With the commitment and sacrifice, achieving the goal will never be difficult, “ the Vice-Chancellor said. According to him, the University had been enjoying the consistent support of the state government on initiatives aimed at propelling the institution to greater heights. He assured the Chinese firm that it is in safe hand as far as fulfilling its obligation was concerned as the two firms were equally expected to live up to expectations. 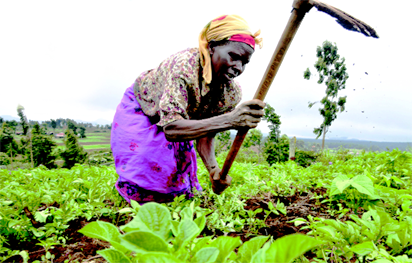 The post Kano varsity, 2 firms sign MoU on agric development appeared first on Vanguard News.